He wanted to hear a response from a college professor about how best to prepare students for the kinds of research that they would be doing in composition courses that they would be taking after high school. Below, I have copied and pasted the response that I offered him via email. And, now I ask you… What do you think — is it time to move away from “traditional” research paper writing processes? Dr. ___ forwarded your question to a number of us in the English Department who are involved in teaching composition and English Education courses, and I offer you a reply based on my own professional opinions and, to the extent that I can, what I sense are the expectations of a typical college writing classroom. Before I answer, I want to acknowledge the many tensions that are evident in the question that you ask — between the amount of skills you aim to teach students as they do research and the time you have to do it; between the “traditional” way of teaching and newer ways that have the potential to be both positive and possibly have unintended consequences; between what your community, students, and parents might expect an English teacher to know and be able to do and what you personally and what your entire department may think might be better for students. Moreover, I am not sure of the context in which you ask it; are you someone who thinks this process is archaic, or are you someone who finds this method valuable? Thus, I tread carefully when I answer this, noting this complicated context. But, you asked for comments and criticisms, so I will share them. I also invite you to write back, so we can continue this conversation. So, at risk of sounding rude, my short answer is yes, the process of using 3×5 cards is archaic. 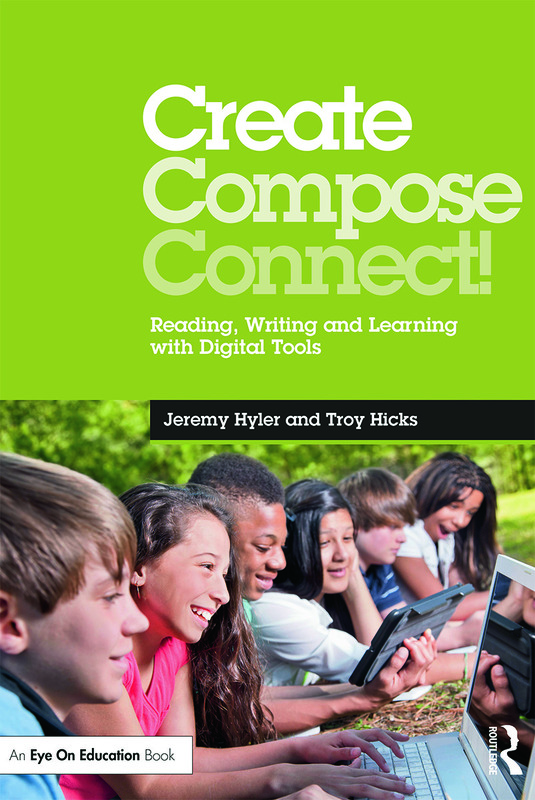 Here is the longer answer that looks at pedagogy, genres in writing, and technologies available for digital writing. First, pedagogy. The established practice (as I remember it from my own K-12 schooling) of choosing a research topic, gathering info on note cards, creating an outline, and then writing a final paper is, as we all know, formulaic. The writing process is never this clear and, while we do need to guide students in the process, we also need to encourage them to engage in topics in a variety of ways. Along with thinking about models such as Macrorie’s I-Search paper or Romano’s multigenre research paper, I also encourage you to have students do research like real scholars, journalists, and writers do — by talking with people and engaging in multiple forms of media, all the while documenting their research process including the questions that they have, the stumbling blocks they encounter, and the “a-ha” moments they discover. By limiting our students’ experiences simply to taking notes from existing sources, we are not really teaching them how to be active and engaged researchers and writers. We need to open up the research process to them. Second, genres. 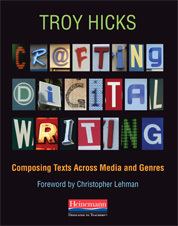 As mentioned above with Romano’s multigenre research, the idea of having students write on a single topic through different perspectives and multiple genres is one that has taken hold in the past decade or so, and is evident in a variety of curriculum documents (such as Michigan’s HSCEs) and professional statements (such as Writing Now from NCTE). Having students produce a traditional academic research paper is still a valuable skill, and one that they will need in college. Yet, to limit their writing about that particular topic to creating only a research paper very much limits their engagement with the topic and the ways in which they represent their thinking. To that end, we need to have them write in unfamiliar genres (See Fleischer and Andrew-Vaughan) and share their writing with other audiences besides us as their teachers. 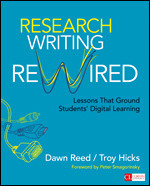 We need to make their research process more purposeful by inviting them to write about it for a variety of purposes. Third, technology. This is a personal and professional interest of mine, so I will go into a bit more detail here. I want to note the concerns that many teachers have about the uses of technology, especially the internet, including their own inexperience and the capability that it can provide for students to plagiarize. These are real concerns, and I am not trying to down play them here. 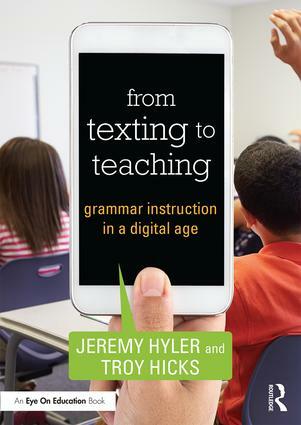 Instead, what I believe is that any teacher, with good professional development and collegial support, can learn how to teach with technology and avoid many of the pitfalls that they think it will cause. In other words, just because students might be tempted to plagiarize because of the technology, we shouldn’t give up on it before we even try. With that in mind, there are at least two technologies that I think are useful for students as they begin to document their research process and create their bibliographies, both of which are free and students can use at home, school, or other places that they can access the internet. The first is Google Docs (http://docs.google.com) and, in particular, the web-based word processor that they can use to create documents and collaborate with one another. Using this online word processor, students can begin to create an annotated bibliography — either all in one document, or with each annotation in a separate document. They can invite you, as their teacher, or other students in as collaborators on the document, thus sharing their research process with you and their peers along the way. Moreover, students can be taught how to write summaries and gather quotes in these Google Docs, and then they can use these summaries and quotes in their own writing about the research by simply copying and pasting. You can find out more about Google Docs through this PDF from Educause and video from the Common Craft show. The second process can be accomplished in a variety of forms, but would be either to use a social bookmarking site such as delicious.com or a bibliography management tool such as Zotero, a free plug-in for the Firefox Web browser (zotero.org). Like Google Docs, you can find out more about these from Educause (Zotero and social bookmarking) and videos (Common Craft on Social Bookmarking and the video on the Zotero homepage). Both tools are useful in different ways, and students could use both. If you had to choose one only though for the process of writing the research paper, I would strongly encourage you to explore uses of Zotero. I have taught my students in both intermediate composition and a senior seminar about Zotero, and all of them have found it useful for organizing their research as they go (including tracking bibliographic info as well as keeping notes, quotes, and summaries), creating annotated bibliographies and, ultimately, helping them be more effective researchers. With these technologies, among a number of others such as wikis and social networks, I feel that students can become more active researchers. 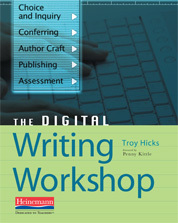 While these tools are meant to meet the same goals as 3×5 cards — trying to help writers organize their ideas and prepare to write a research paper — as you begin to use them and teach your students to use them, I think that the ways in which these technologies can enhance the research process and contribute to students’ growth as writers quite powerful. Moreover, there is the fact that we are being asked to teach our students digital literacies such as these based on the requirements of the HSCEs and suggestions of our professional organizations. All that said, yes, there are there still professors who teach — and demand — a traditional research paper, including 3×5 cards. Yet, it is clear that there are more shifts in our field related to our pedagogical approach, the genres we ask students to write in, and the ways in which technology is influencing that process. 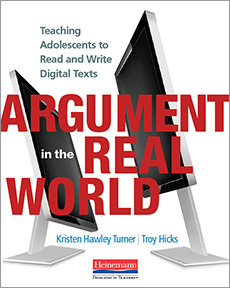 I hope that my response here helps encourage you and your colleagues to think about the ways that you might engage students as readers, writers, and researchers. Finally, if you would like any help with this through professional development services, I would be happy to talk with you more about this, and what we can offer you through our site of the National Writing Project, the Chippewa River Writing Project. I know that there are teachers in the Waverly district who have attended MSU’s site, the Red Cedar Writing Project, so you also have some people “in house” who might be able to help you rethink the research paper process. Please let me know if you have any additional questions and I look forward to hearing your response. Just wanted to say that I completely agree with everything you wrote in your letter. I am currently a college student studying to be an Elementary Teacher and I am currently learning about all of the different technologies that are available for students and teachers to use. To back up your reasoning I am finding and wishing that I learned more about online researching, databases, online bibliography tools ect. before I came to college. I am seeing more and more how beneficial using modern technology in the classroom, it truly does prepare students for the career world. Isn’t it a teacher’s duty anyways to prepare their students as best as they can for their careers? So aren’t we as teachers then supposed to be “up to date”? So yes, I really think that the tips that you gave were very insightful (I think all teachers should get some of these pieces of advice). Oh and do you have any good tips when it comes to database collecting? Excellent happy synthetic attention intended for details and can anticipate troubles prior to they occur. I love to share understanding that I’ve accrued with the 12 months to assist improve team overall performance. I love to disseminate knowledge that I’ve built up with the calendar year to help enhance team overall performance.